Locals are asked to help by filling a backpack for a child with school supplies and donating it to one of the Interfaith Homeless Outreach Council’s parishes to be distributed to a child in need. Two boys give a big smile after picking out a backpack filled with school supplies that was generously donated last year from the Pack a Sack collection. The Interfaith Homeless Outreach Council, a Cherry Hill based non-profit working to address the needs of the homeless in Camden County, are helping to collect these backpacks and supplies again this year for children in need. “Back to school” sales have already been in stores for weeks now, and the start of school is about a month away for many. As some parents get ready to buy their children supplies for their school, unfortunately some cannot afford to get their children the supplies they need. The Interfaith Homeless Outreach Council, a Cherry Hill based non-profit working to address the needs of the homeless in Camden County, is doing its part to help those families in need with their annual Pack a Sack back-to-school school supplies collection. Locals are asked to help by filling a backpack for a child with school supplies and donating it to one of the IHOC’s parishes to be distributed to a child in need. 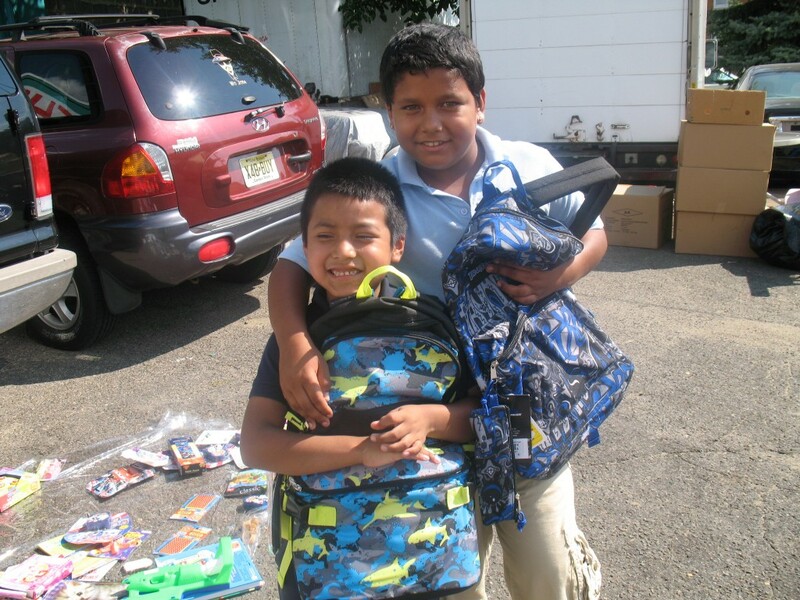 “It is essential for these kids to begin the school year with the supplies they need. If they don’t have these supplies, they’ll be left behind and find it hard to catch up,” IHOC chairperson Alex Deflavis said. 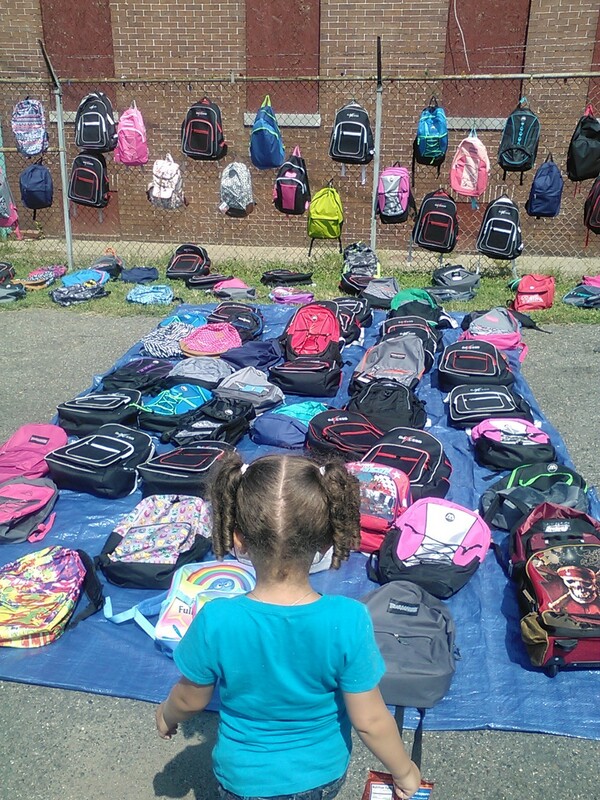 IHOC has been collecting backpacks for more than 15 years. Deflavis does it every year because it helps out the homeless children in the local area, and he also enjoys seeing the smiles on their faces. “I continue to do it because it gives me a lot of satisfaction to see all of these kids, who normally wouldn’t have school items, start school with everything they need. It just touches me. (As an educator), I see these kids come to school with little or nothing; it is just a pleasure to see them smile,” Deflavis said. According to the Kids in Need Foundation, a national organization that works to ensure every child is prepared to learn and succeed by providing free school supplies nationally to students most in need, right now there are more than 16 million kids living in poverty. In 2014, New Jersey had 1.09 million families with 1.98 million children and 31 percent of those children live in low-income families and 15 percent of those children live in poor families, according to the National Center for Children in Poverty. Backpacks filled with school supplies are displayed for children in need to take so they can be prepared for school from the Pack a Sack collection last year. Having access to quality school supplies significantly increase interest in learning, class participation and class preparedness, according to the Kids in Need Foundation’s 2015 School Supply Impact Survey Report. Free school supplies also helps with homework completion, self-esteem, engagement, student behavior, student attendance and supports ESL needs. So it is essential for children to begin the school year with the supplies they need. “(People) should donate because the children really need these supplies to begin the school year. If we don’t do it, then the kids will be left behind and won’t be able to do homework. It will be very rough and will be very sad seeing everyone else with backpacks and nothing,” Deflavis said. Supplies needed include backpacks, pens, pencils, notebook paper, construction paper, glue sticks, scissors, rulers, protractors, calculators, folders, spiral notebooks, composition notebooks, markers, crayons and small pencil sharpeners. They may be packaged together in a backpack or donated individually. All items must be new, as used items are not accepted. Cash donations are accepted as well. “Anything we put in the back packs is brand new. These kids deserve anything as good as any other child,” Deflavis said. The “backpacks’’ can be dropped off Cherry Hill’s St. Bartholomew’s Episcopal Church and Michael’s Lutheran Church or at Deflavis’ home. The donations are distributed to homeless shelters in South Jersey for children from kindergarten to high school. Organizations donated to include Rescue Mission, UrbanPromise, Anna Sample Complex and Kids Alley. “The faces on the kids, you won’t believe it unless you see it … The smile on their faces just touches you so much that you’d be happy for the rest of the week,” Deflavis said. Other congregations in Cherry Hill that are a part of the IHOC include Christ Our Light Parish, Congregation M’kor Shalom, St. Andrew’s United Methodist Church, The Catholic Church of St. Mary and Trinity Presbyterian. For more information, contact your congregation chairperson or Deflavis at (856) 354–0648.